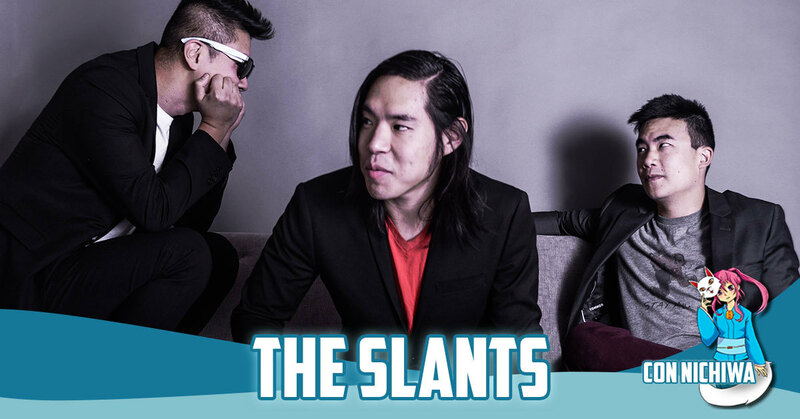 The Slants are the first and only all-Asian American dance rock band in the world. They offer up catchy dance beats, strong hooks, and a bombastic live show that is "not to be missed" (The Westword). The Willamette Week says "While the band may well be best experienced live, Slants releases always promise a few blistering, note-perfect singles." The music is the perfect combination of 80's driven synth pop with hard-hitting indie, floor-filling beats which fans affectionately dub as "Chinatown Dance Rock." They've been featured with Conan O'Brien's Team Coco, The Daily Show with Trevor Noah, Rolling Stone, Pitchfork, SPIN, BBC, NPR, and over 3,000 radio stations, tv shows, magazines, and websites across 125 countries. 22 international tours, including appearances in 46 of 50 U.S states, have led to headlining showcases at major festivals such as SXSW, MusicfestNW, San Diego Comic-Con, and Dragon Con. The band has also provided support for The Decemberists, Mindless Self Indulgence, Girl Talk, Apl.De.Ap (of Black Eyed Peas), Blindpilot and Shonen Knife. Whether rocking music halls, anime conventions, maximum-security prisons, colleges, or army bases, it's clear that The Slants' infectious brand of "so damn good" music will leave you wanting more" (MRU Magazine).